You’ve seen the signs, the writing on the wall. The business world is changing. Your job is changing. But as a chief financial officer, you don’t really like change. That’s what drew you to the financial field in the first place. You like constants. You like reliability. You like numbers; they make sense. Now, change is here. Whether you like it or not, change is happening. And it’s happening rapidly. Your job is changing. Your job already has changed. The best way for you to handle that change is not just to join the flow; you need to get ahead of the current. You must gain the advantage by becoming a Tech-Savvy CFO. The signs of change are all around you. One sign might even be right in your hand if you are reading this blog post on your phone. Ten years ago, only about 2% of the population had access to a smartphone. Now, that number has climbed to 74%. A decade ago, LinkedIn boasted 4 million users; now it’s 450 million. Facebook in the same time frame has exploded from 5 million users to 1.59 billion. Maybe it doesn’t seem like this kind of innovation is pressing the change upon your business, but it’s exactly this kind of change that is affecting the market. How else do you explain that in 2005, Google was valued at $23 billion with $2.7 billion in revenue, whereas in 2015, Uber was valued at $50 billion based on only $400 million in revenue? Changes in technology are affecting the markets. Changes in technology are affecting your business. Changes in technology are affecting you. Externally, the markets are pressing your business to respond faster; to know what your consumers want, before they want it; and to switch course swiftly if it looks like you might fall behind. Consumers are demanding your business meet them where they are. Internally, your stakeholders expect to find answers to all their questions in your numbers. You no longer have the luxury of waiting for a quarterly report or a year-end report to assess your company’s position in the market. Reporting and compliance no longer are your primary functions. Analysis, metrics, trends, these are the keywords in your new vocabulary. Big data is your new best friend. Previously, the past was your stomping grounds. Your job was to serve as the keeper of records. The numbers that showed the history of the business. Increasingly, your role projects into the future. Your analysis of the past needs to produce a sign board that points to the future. And you need to become the strategist to know how those numbers of the past can lead your company into better numbers in the future. As the keeper of the data, you hold the keys to future success. You understand your role is changing. You are beginning to see more about what your future holds. Now, you need to decide how you are going to proceed to embrace this change. You need to determine your route toward becoming a tech-savvy CFO. Will you rely on your current technology providers to stay ahead of what’s already here? Will you count on your IT department to bring you the best resources to transition into your new role? Or will you search for new technologists to lead you into unfamiliar territory? Will you embrace the cloud and best-of-breed technologies to make you a more nimble CFO, ready to respond to rapidly changing markets and consumer bases? In the second part of this series, we’ll talk more about how you can embrace automation and join the best-of-breed revolution on the cloud en route to becoming a tech-savvy CFO. In the third part, we’ll coach you in how you can become a change agent for your company through this innovation. 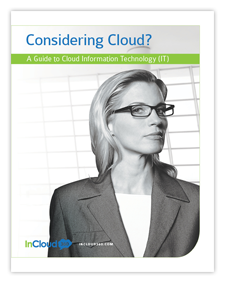 In the meantime, enjoy the free white paper, “Are You Ready to be a Tech-Savvy CFO?” brought to you by Intaact and InCloud360. And contact us when you are ready to learn how the cloud can enhance your role as CFO.